The above mentioned story was particularly chosen because of the moral behind this story – that is, a good deed is repaid with another and that we all need one another. 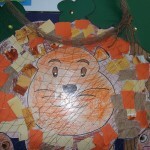 During the story tangible resources such as a big lion soft toy and a small mouse soft toy were used together with a recycled net. Students created a lion and a mouse out of recycled materials and these were put on display. This was relevant to the theme for Book Week proposed by the EkoSkola Committee this year: Fantasy World – The Magic of Reducing, Reusing, Recycling. 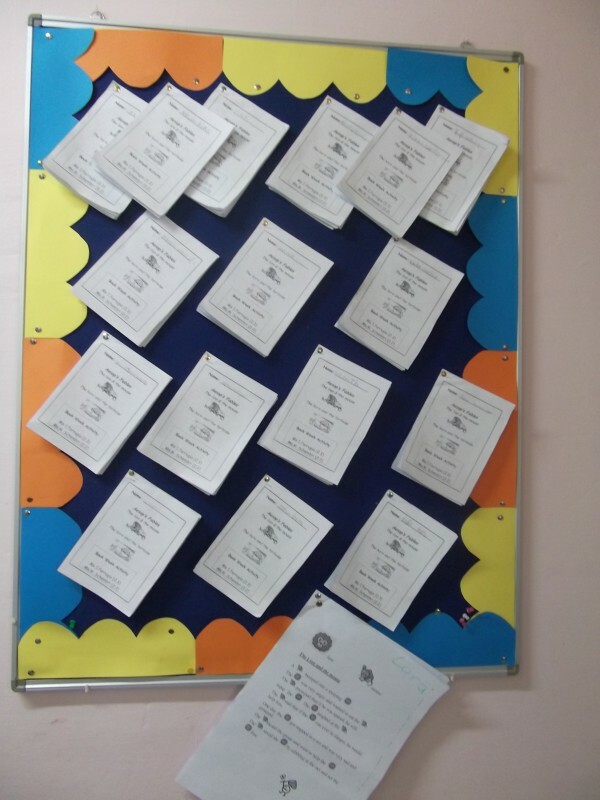 These activities helped the students to visualise and consequently enhance further comprehension of the story. 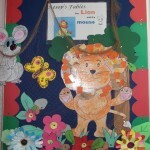 Students were given creative writing and a comprehension together with creative art on the same fable. Key words were highlighted and pupils were encouraged to formulate sentences with these words. They were also shown a video of this story. Finally the pupils were asked to retell the story in their own words and discuss what they had learnt (focusing on oracy, narration skills and interpersonal skills). Year 2 pupils took the role of ‘big brother’ where they explained the story to Year 1 pupils who comprehended and gave their own perceptions. It proved to be a very enjoyable and fruitful activity for all those involved.